The American School of Recife (EAR) located in Recife, Brazil was founded in 1957. The school is a private, non-sectarian, not-for-profit day school. The school offers a Nursery through 12th grade educational programs for students currently representing 13 nationalities. 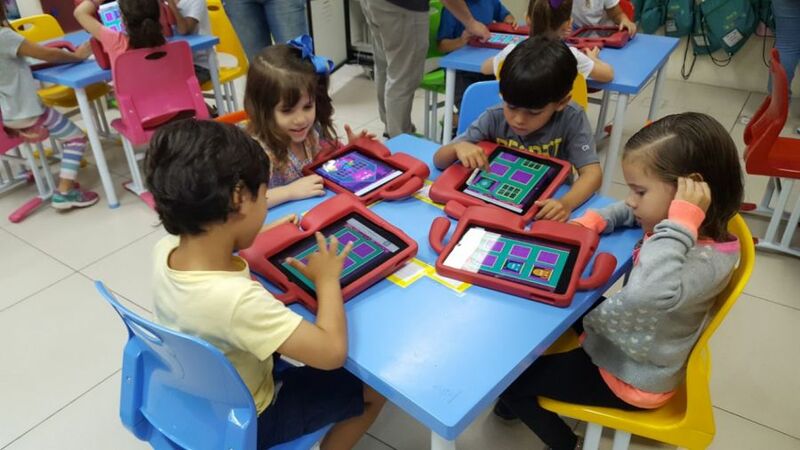 The school is accredited by AdvancED-SACS in the United States, the State of Pernambuco Ministry of Education and Recife Municipal Education Council in Brazil. 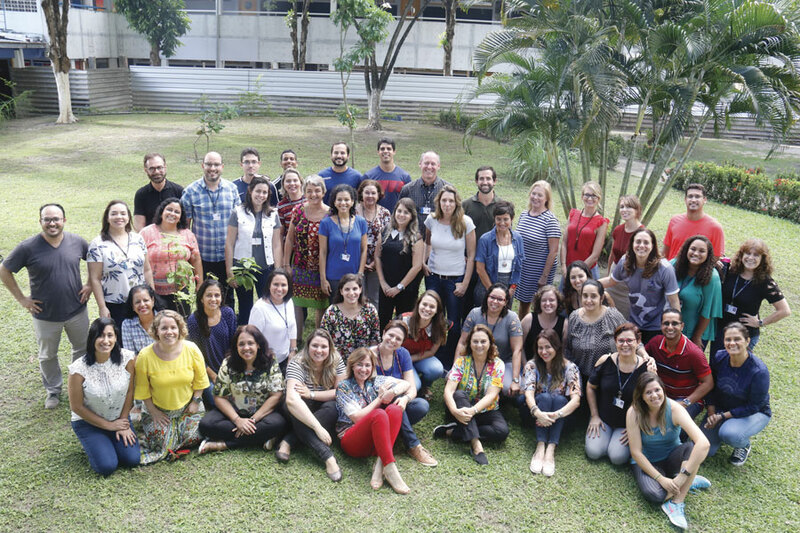 The school is a member of the Association of American Schools in Brazil (AASB), the Association of American Schools in South America (AASSA) and the Association for the Advancement of International Education (AAIE). 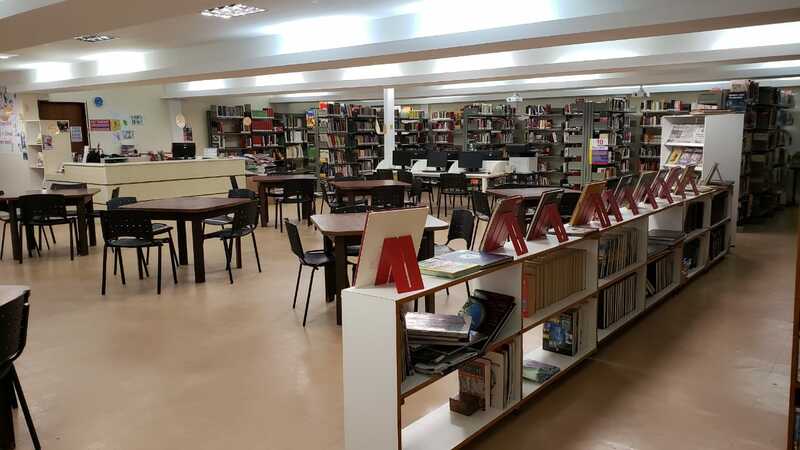 The American School of Recife is an American Overseas School that offers exemplary U.S. and Brazilian accredited programs in a welcoming English language setting where each individual matters. The mission is to develop critical thinkers and lifelong learners with an international perspective, empowered to become informed, responsible world citizens. The vision is to empower students to meet tomorrow’s challenges with passion and resiliency. 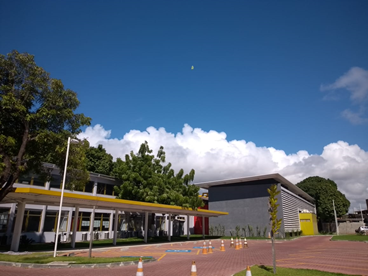 Located on an eight and one-half acre campus in a preferred residential area of Recife, the campus is in the midst of a major program of redevelopment. The pre-school, elementary and secondary divisions are in purpose-built facilities. The facilities include 54 classrooms, science labs, a music room, small theater, technology lab, two libraries, two dining areas, two faculty resource centers, an infirmary, administrative offices, three playgrounds, three multi-sport covered courts, a soccer field and two sand volleyball courts. The current Nursery to Grade 12 enrollment is 526 students. 350 students are enrolled in Nursery through 5th grade and 176 students in 6th through 12th grade. 89% of the student population is Brazilian, with the other 11% representing 12 nationalities. Of these, 19 are U.S. citizens, 40 are third-country nationals and the balance are host-country nationals. The school employs 65 certified teachers, including: 51 host-country nationals, 11 U.S. citizens and three third-country nationals. 45% of the faculty hold advanced degrees or post-graduate certificate. The Superintendent works closely with the school's Leadership Team. The Leadership Team consists of the Director of Brazilian Studies, Early Childhood and Elementary Principal, Secondary Principal and Business Manager. The school provides a U.S. standards-based, college preparatory curriculum which enables students to successfully matriculate to universities in Brazil, United States and throughout the world. 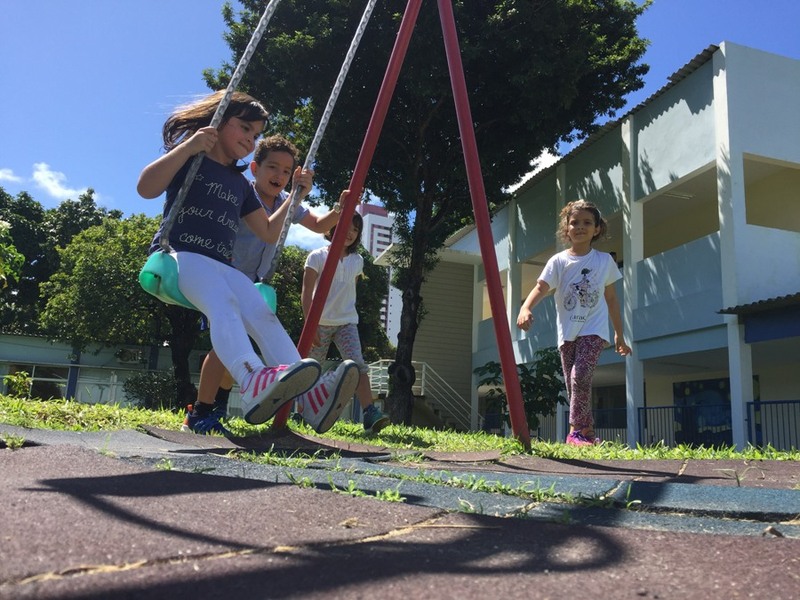 Instruction is primarily delivered in English with mandatory Portuguese language study beginning in Pre-kindergarten. Support is provided for language learning difficulties and mild learning disabilities. Elective offerings include: Advanced Placement courses, art, computer science, drama, French, journalism, music, photography, Spanish and Virtual High School on-line courses. Extra-curricular activities include; basketball, capoeira, chess club, dance, drama, eco-club, indoor, soccer, Knowledge Bowl, math club, Model United Nations, robotics, peer-tutoring, tennis and volleyball. 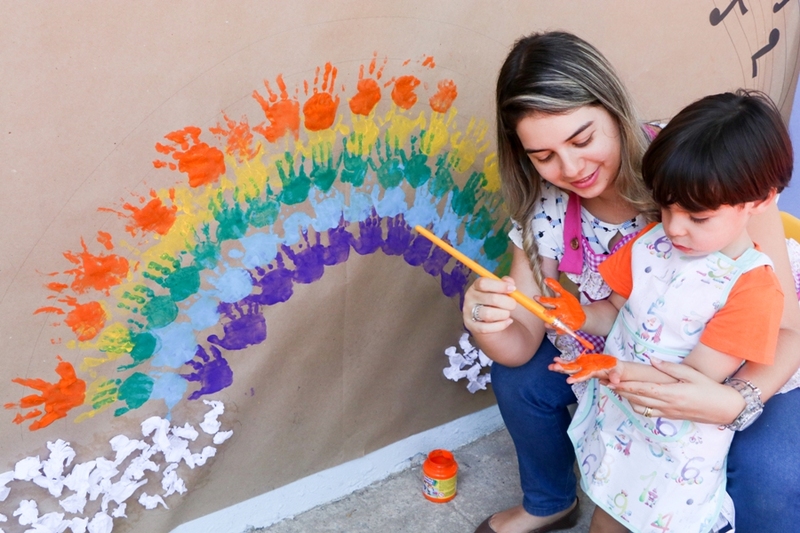 The American School of Recife is governed by a Board of Trustees of five members elected by the General Assembly of parents of children enrolled at the school, two members appointed by the elected members and a member appointed by the U.S. Consul General in Recife. The school is registered as tax-exempt in Brazil and is not incorporated in the United States. Recife is the fourth largest city in Brazil with a population slightly in excess of four million. Recife is the largest city of the North/Northeast Regions, and the capital and largest city of the state of Pernambuco in the northeast corner of Brazil. The metropolitan region of Recife is the main industrial zone of the State of Pernambuco; major products are those derived from cane (sugar and ethanol), ships, oil platforms, electronics and software. A combination of a large supply of labor and significant private investments turned Recife into Brazil’s second largest medical hub (second only to Sao Paulo); modern hospitals with state-of-the-art equipment serve patients from several neighboring states in Recife. Recife stands out as a major tourist attraction of the Northeast, both for its beaches and for its historic sites, dating back to both the Portuguese and the Dutch colonization of the region. The beach of Porto de Galinhas, 60 kilometers south of Recife, has been repeatedly awarded the title of best beach in Brazil. The historic center of Olinda, just north of Recife was declared a UNESCO World Heritage Site in 1982. The Superintendent is empowered by the Board of Trustees to lead the school in a manner that is consistent with approved policies of the American School of Recife. In the absence of policy, or in an emergency, the Superintendent acts in accordance with sound educational or organizational principles but must bring such actions to the attention of the Board at the earliest possible time. The Board of Trustees understand the different roles of the Board and administration and that it is the duty of the Superintendent and his/her leadership team to manage the day-to-day operation of the school. Provide leadership to the program of learning with an emphasis on a standards-based curriculum, assessment aligned with standards and instruction that furthers student learning in alignment with standards. Provide direction on the criteria to be implemented in making admission decisions. Provide leadership to the development of the annual school calendar for recommendation for approval to the Board of Trustees. Advise the Board on all matters related to the educational program. Keep the Board of Trustees informed on all matters of significant importance to insure that members of the Board are consistently well informed. Facilitate excellent and on-going communication within the school. Facilitate excellent and on-going communication across the school community. Work with the Board of Trustees to successfully carry out the remaining campus development projects. Insure the proper oversight of school facilities, and their on-going care and maintenance. Responsible for budget development in concert with the Board of Trustees and the subsequent effective and efficient administration of the budget in ways that demonstrate both financial responsibility and accountability. Responsible for on-going budget oversight including approval of all expenditures. Responsible for attracting, retaining, supporting, assessing, developing and if necessary, dismissing, faculty, staff and administrators in support of the school’s mission and vision. Provide orientation for all new faculty, staff and administrators. Insure the proper supervision and evaluation of all faculty, administrators and non-faculty staff. Ensure that existing school policies are consistently implemented. Identify policies that need revision or areas where new policies are required and make recommendations to the Board of Trustees for appropriate action. Provide the Board with input on the viability of proposed new policy. A learning-focused leader who is able to successfully communication a vision for continuous improvement across all aspects of the school. Capable of providing leadership which affirms the mission of the school, why we exist and who we are here to serve. An individual who is committed to the further implementation of the campus master plan and improvement of the teaching and learning environment. Superintendent/Director experience or in lieu, a proven track record of demonstrated educational leadership experience and success that will be considered by the Search Committee. Someone who will demonstrate understanding, respect and an appreciation for the local culture. Proficiency in Portuguese, or as an alternative in Spanish or a demonstrated willingness to acquire the language. Collaborative leadership style which translates into being a team and consensus builder to improve student learning are valued characteristics of the new Superintendent. The Board of Trustees of the American School of Recife has appointed Search Associates as its partner in its search for a Superintendent, with Dr. Brent Mutsch serving as the lead consultant. The deadline for applications for the position is January 15, 2019. Candidates are asked to submit a letter of interest and the requested materials listed below as early as possible as the Search Committee reserves the right to close the selection process at any time if the right candidate is identified. The review of files will begin as soon as applications are received. Finalists will be selected by the Search Committee and two or three finalists will be identified. Finalist candidates together with their spouse (if applicable) will be invited to Recife to meet with the Board of Trustees, visit the school and meet with faculty, parents, students, and non-teaching staff. A letter of application, explaining your strengths as a candidate and why you are interested in the Superintendent position at the American School of Recife. Total document size should be kept to less than four (4) MB if possible. Applications should be sent to: bmutsch@searchassociates.com . Additional information about the American School of Recife can be found on the school’s web site at < www.ear.com.br > .